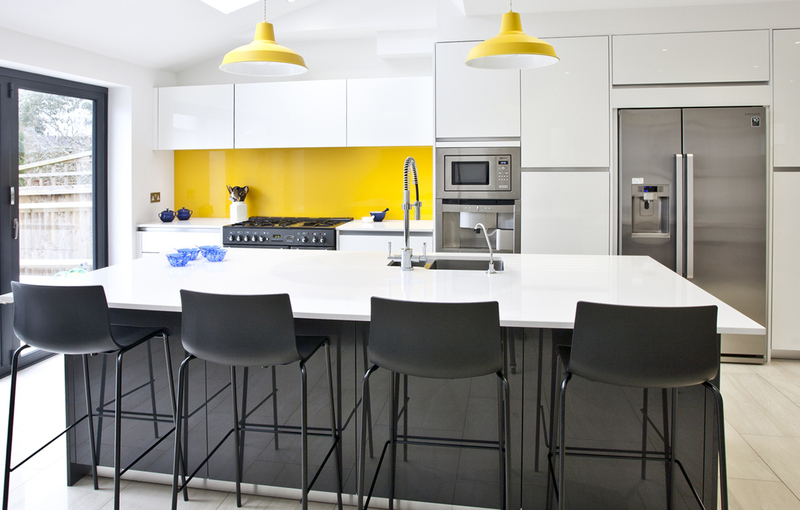 This family wanted to bring a touch of Japanese influence into their kitchen, so we added a lemon zest splashback to give warmth to the gloss white units and gloss graphite island. 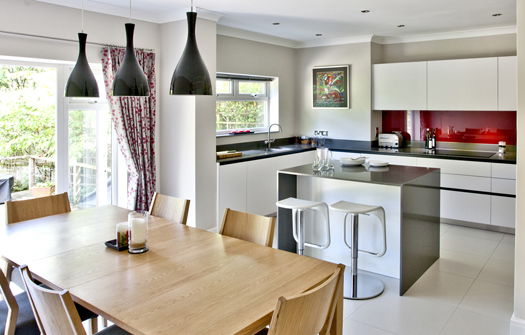 Extending their long, narrow kitchen allowed the family to create a bright, open and sociable space. 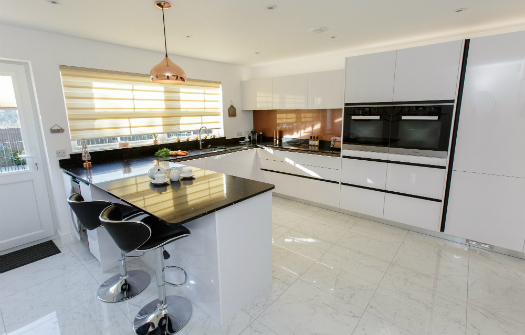 They had originally considered Shaker-style units due to the age of the house, but were bowled over by a bold, modern handleless design which then became the starting point of the overall scheme. 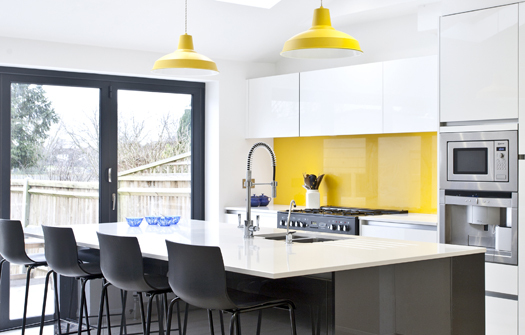 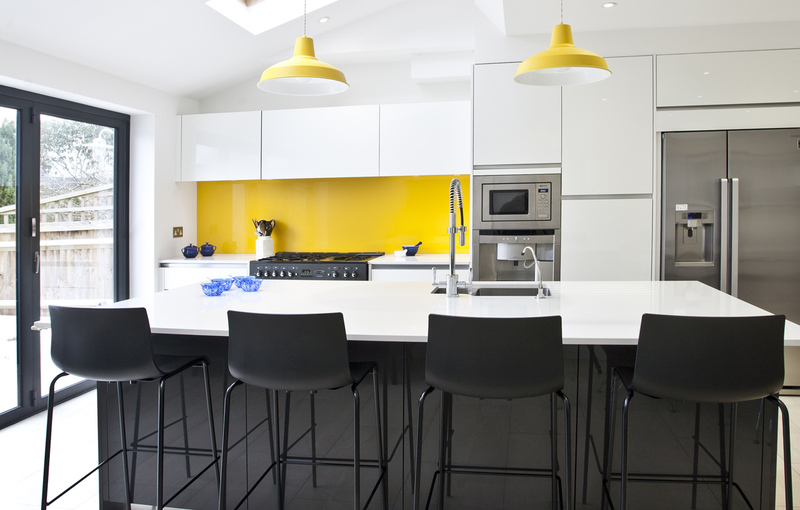 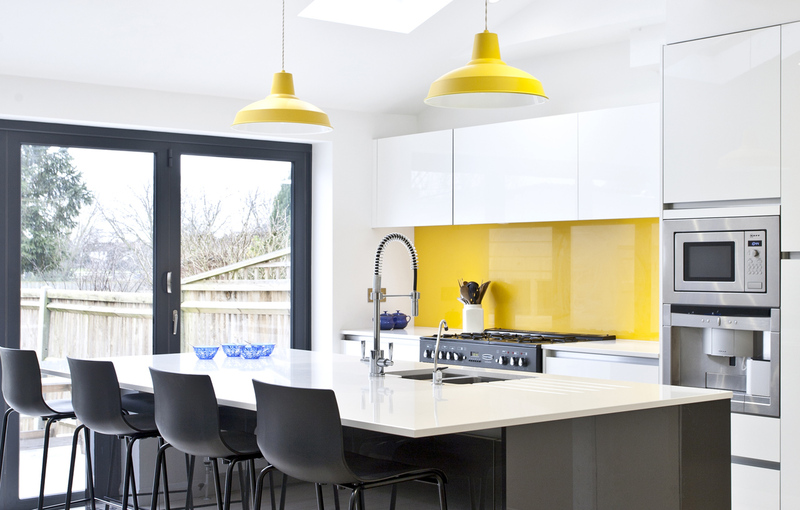 The bright pops of yellow give the design a fresh contemporary feel, teamed with the gloss white units and graphite for a cool modern edge. 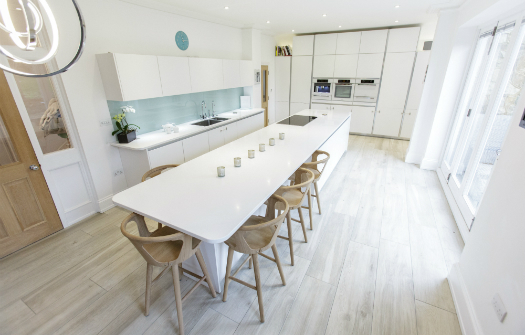 The large island has become an essential focal point where guests and family can congregate, creating a space where everyone could be together but doing different things.